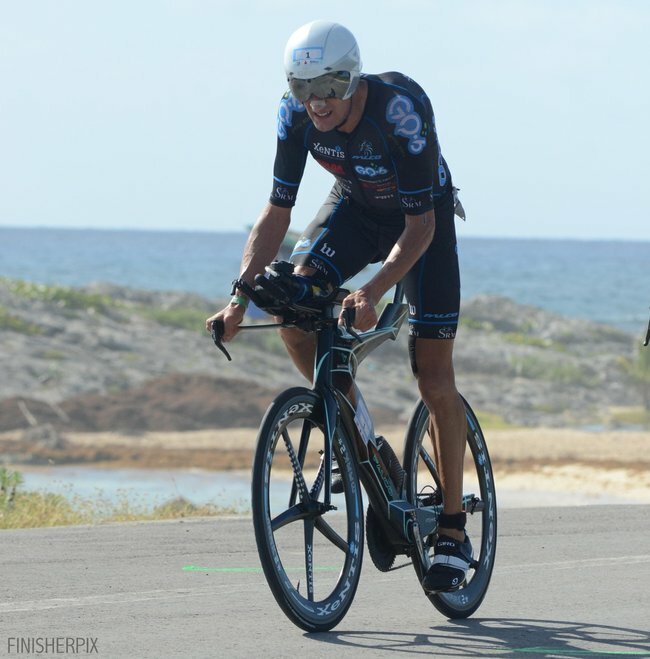 On the 29th November 2015, on a particularly hot Ironman Cozumel Sunday, SRM sponsored triathlete, Michi Weiss, posted the 2nd fastest bike split of the day en route to 3rd place overall and his third consecutive podium at this race which he has dominated for the last two years winning by seven minutes in 2013 and a staggering twenty minutes last year. 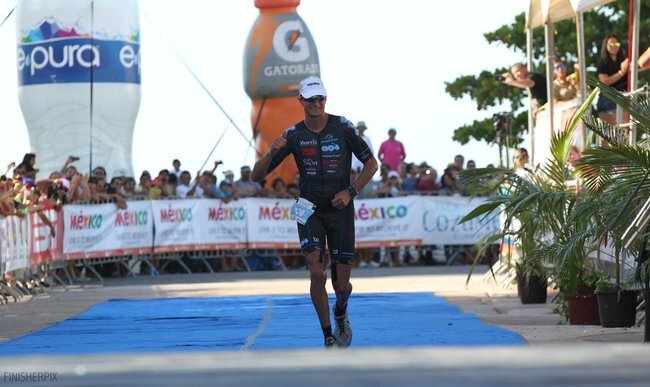 Coming just six weeks after the Ironman World Championship in Kona, Hawaii where Michi also posted a top 10 bike split, he arrived in Mexico two weeks before race day feeling good and ready to mount the second consecutive defense of his title. 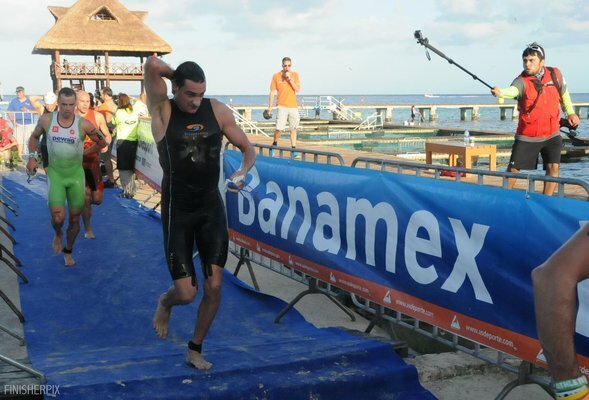 The Cozumel race course is one that really suits Michi’s specific abilities in that the buoyancy providing ocean swim also features a favorable current which helps the non front pack swimmers like Michi to exit the water within touching distance of the leaders, as he did again this year posting an Ironman PB of 0:49:40 for the 3.8km swim. The bike course is fast and flat with technical sections, which is perfect for the strongest cyclists and as such Michi already holds the course record. The run surface is also consistent and flat. And so it was that those of us on Team Weiss were pretty confident that another dominating victory was doable, even likely. 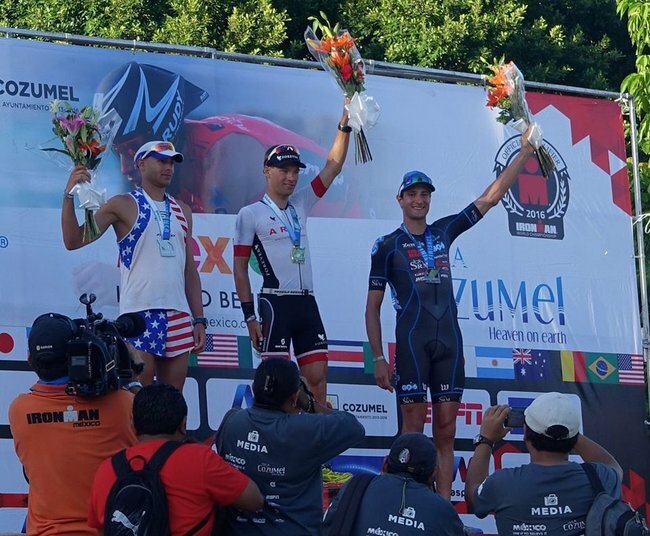 In this article I am going to unpack Michi’s SRM power file from the race and highlight the reasons why a title defense is such a hard thing to pull off, especially when it is the second one in two years! *Note how in this year’s race the peak power numbers are very much skewed to the short end of the curve where almost every duration from 5 seconds through to 90 minutes represents an Ironman race PB yet the overall average of 291W is the lowest I have seen from Michi in the 3 years we have worked together. Understanding the reasons behind this is the real genius of SRM and power analysis. However, this year it was a different story. 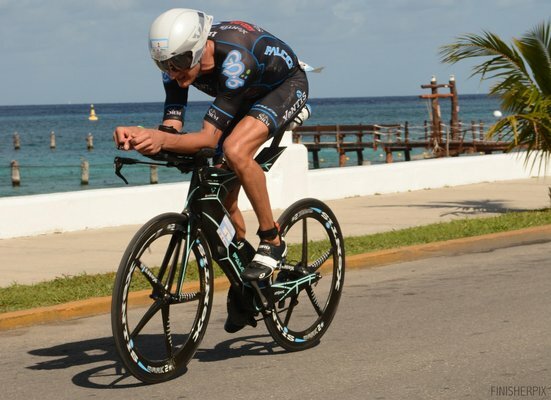 While Michi had a clearly defined strategy in mind, it went to pieces when it became clear that any attack he made was going to be covered by every competitor he rode up behind. This is entirely understandable when you think about it. If the guy who has won the last two races rides past you, it is fair to assume that if you are going to have any chance yourself then you had better throw chance to the wind and do whatever you have to in order to stay with him. And this is exactly what Michi encountered – very sticky competition! That is not to say that he was unable to eventually shake them all off, he was and he did, but at what cost? From this years race file below we can see just how many precious energy consuming attacks (‘burning matches’) he was forced to make in the first half of the race. 2015 Eleven Burnt Matches – Count Them! Now if the shape of this power trace belonged to one of my age group athletes, I would immediately be on the phone to him or her asking them what went wrong (although I would be pretty happy with the wattages!). This is because a steady state effort is the most efficient means of preserving precious fuel stores and therefore the best way to optimize overall performance. However, at the top of the sport, being able to ride steady state is a rare treat and certainly not a luxury you can expect if you are showing up to win. 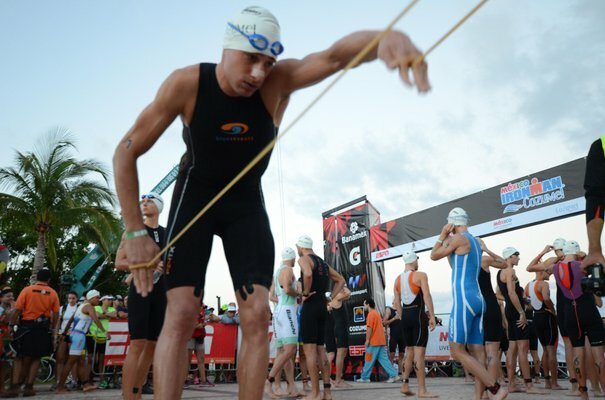 And so it was that Michi took off out of T1 like a bat out of hell in pursuit of the fastest swimmers, catching and dropping one after another, each time being required to put out around 500W for 1-2’ at a time. Having done this 11 times and also averaged 340W for first 90 minutes of the ride he found himself at the front of the field but with legs that had, temporarily at least, given almost everything they had. I should also point out that, while in no way an excuse and to take nothing away from the eventual winner, the gastrointestinal virus that Michi picked up just 10 days before the race, which required a short hospital stay for rehydration, probably played its part on race day and contributed to what Michi later described as an uncharacteristic feeling of ‘flatness’ in his legs. Nevertheless, the file and the comparison table above clearly highlight just how revealing power analysis can be. For example, without watts and the ability to analyze the power file we are left with speed, split time and how the overall effort felt, which while all useful output variables it would be all too easy to dismiss Michi’s bike performance as sub-par, leading to much head-scratching and perhaps just put it down to the long, hard season taking the edge off his usual level. Yet, and this is the real value of power analysis, we can see that actually he was able to produce some of the best peak power numbers of his career just that eventually (and predictably when we understand the underpinning physiology of endurance performance) these efforts would lead to inexorable fatigue and eventual slow down. Michi would have felt this too but he is a winner and winning is ultimately less about riding to numbers and more often comes down to mental fortitude, motivation and, for want of a better word, heart - all of which Michi possesses in bucket loads. [Although racing to numbers is very likely to become increasingly prevalent as our ability to measure such aspects of an individuals’ physiology on the fly becomes more readily available – see boxout ‘Burning Matches’ Explained]. Thankyou as always to Michi for making his SRM race files – from every single race over the last 3 years! – available and open to analysis and critique. And congratulations on another great result in Cozumel. The King may have lost his crown but I suggest it may be only on loan for a year! Listen to any cycling TV commentary or pick up any cycling magazine and the chances are you will come across this idea of burning matches and how it should be largely avoided if endurance performance is the goal. But what is actually meant by this phrase? To understand that we first need to get a grip on the idea of ‘threshold’. It is when we exercise above our critical power that we run into problems, especially in long course events like Ironman. The work we do above critical power uses up something called our ‘anaerobic work capacity’ (known as AWC, W’ or W prime in the literature) of which we have a fixed amount and when it is used up we have no choice but to slow down so that it can be replenished which can take along time to do unless we come to a complete standstill – not great if you are in the middle of a race! This fixed amount of AWC is used up more quickly the more we surge above our critical power. 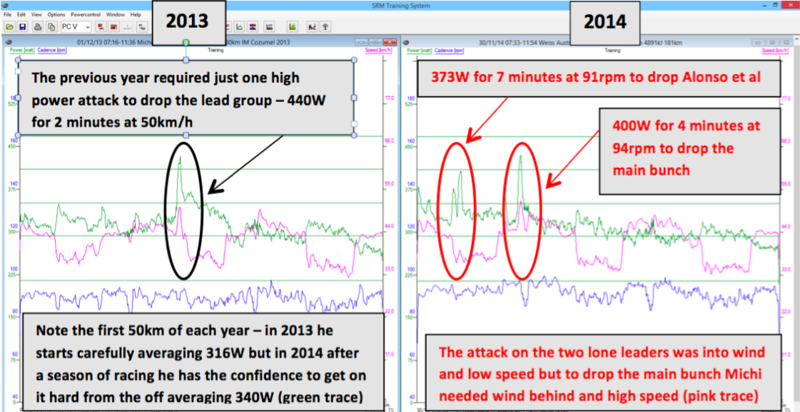 This is why, in Michi’s case, he was able to get away with one or two big surges in 2013 and 2014 but why in 2015, after 11 such surges he was forced to slow down so considerably – essentially to allow his AWC to recharge. 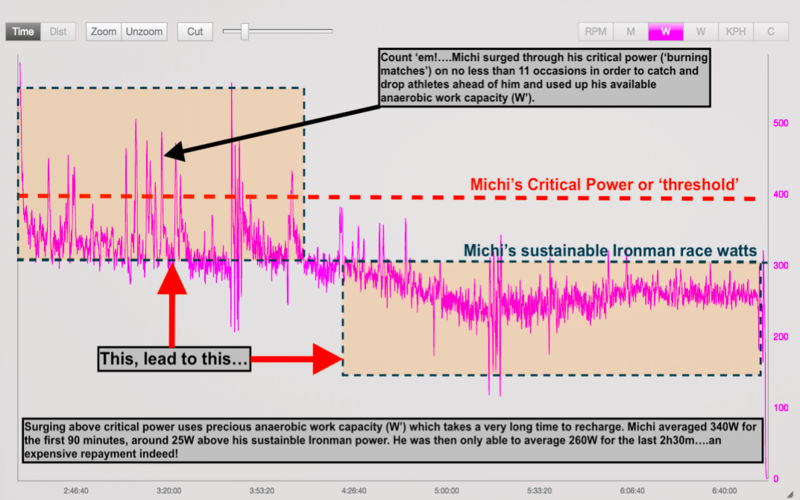 Take a look at the file and you will see, in the same way that a bank loan eventually requires repayment, Michi borrowed heavily from his AWC account in the first 90 minutes of riding but that ‘loan’ was then called in and required 2.5 hours of riding at just 260W (well below his critical power of 400W) in order to recharge his AWC enough to put together a decent run, which he did. Because an individual’s AWC account can be quantified through testing (how many matches you have to burn) it is possible to measure exactly how much you have depleted your reserve and thus know exactly how much you have left (how many matches you have left to burn) before you will be forced to slow down considerably. 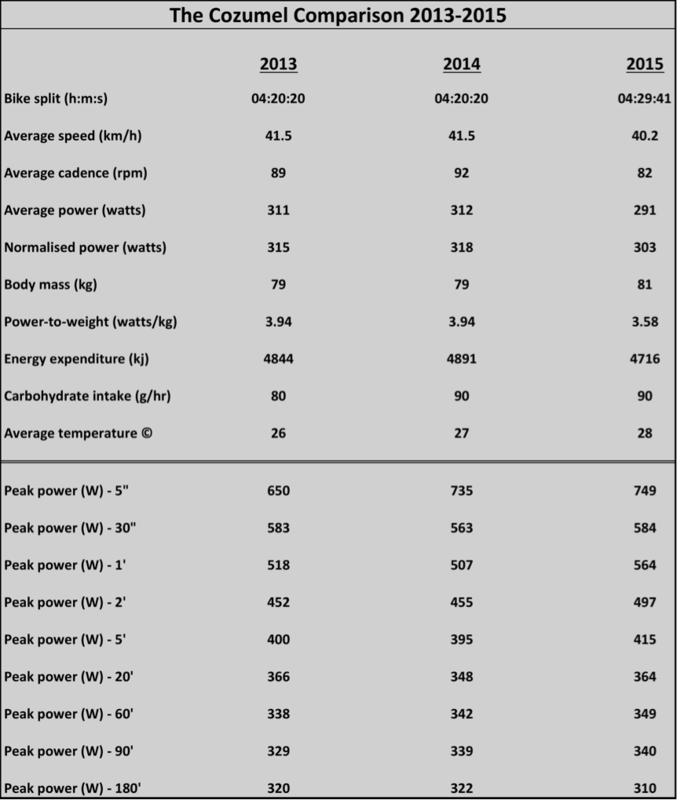 These numbers will increasingly be available to the cyclist on his bike computer on the fly and may well change how races are raced in the future.